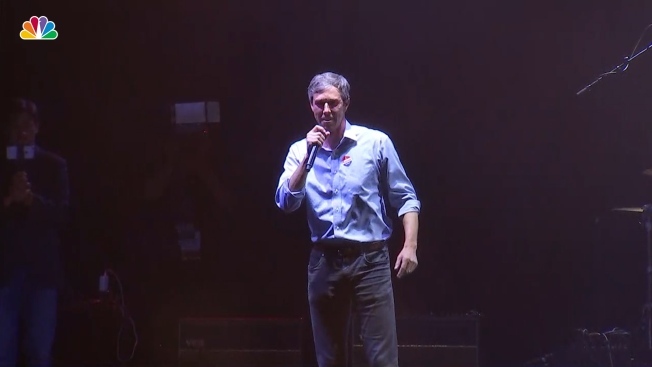 That's what some fans of the pop star are asking of Beyoncé after the singer came out at the 11th hour to support Texas senate hopeful Beto O’Rourke on Tuesday. O’Rourke ultimately lost to Republican Sen. Ted Cruz. On Monday, the singer took to Instagram posting several photos of herself dressed in all black and wearing a matching "Beto for Senate" cap. While the endorsement from the Houston native was appreciated, some fans were upset believing an earlier endorsement may have turned the tide in Beto's favor. I for one blame Beto losing on....BEYONCE 5pm Election Day endorsement means nothing! i don't feel bad for all the crap beyonce is getting in her comments for posting her support for beto 3 hrs before polls closed. the point of endorsements is to influence and impact. at least time it right. Had she posted her support for him over the weekend, perhaps her influence (which is a BIG influence) could have possibly pulled voters, who were maybe undecided (but fans of Beyoncé), to Beto’s side. I think that’s where the confusion may lie. Yet several others also took to social media defending Beyoncé, saying it was unfair to single her out for the political loss. Stop trying to find a scapegoat for why Beto didn’t win. We know why. So what if Beyoncé posted late?? If her posting sooner would’ve changed the vote that’s really sad considering all the campaigning during this election.